I have set a big hairy audacious goal to swim from Robben Island of the coast of Cape Town, South Africa to the mainland. Robben Island is similar to Alcatraz in San Francisco Bay in that it was a prison. Growing up in Sea Point, a suburb of Cape Town, I would often look towards Robben Island and wonder what was going on there. 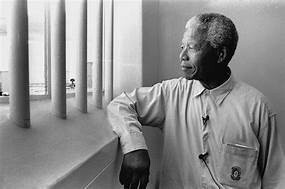 Nelson Mandela was imprisoned for 18 of his 27 years on Robben Island. The photo below shows Mandela visiting his cell after he was freed and became President of South Africa. I took up open water swimming about 2 years ago as a way to stay healthy after learning that it was low impact on my joints. I used to run competitively a Masters track and field athlete. While visiting South Africa a year ago, I discovered that the Freedom swim, inspired by the freeing of all political prisoners from Robben Island, had become popular. I'm inspired to challenge myself and swim the 4 or 6 miles in 55 degree water (without a wetsuit) from Robben Island to the mainland - my Freedom Swim. 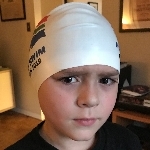 To connect with friendly and supportive fellow swimmers, I connected with the La Jolla Cove Swim Club and the TriClub of San Diego. Since March 2017 I have been swimming/training with the TriClub in north county San Diego (see photo below) and have entered swimming competitions to prepare for the Freedom Swim. Despite my physical limitations - I have psoriasis and psoriatic arthritis, I believe I can achieve this big, hairy audacious goal and am asking for your support and help to raise $9,000 for the National Psoriasis Foundation. The National Psoriasis Foundation provides help those that have psoriasis or psoriatic arthritis to best manage their symptoms, while promoting research to find a cure. Up to 30 percent of people with psoriasis develop psoriatic arthritis, an inflammatory form of arthritis. www.psoriasis.org. Wishing you a health and happy 2018. 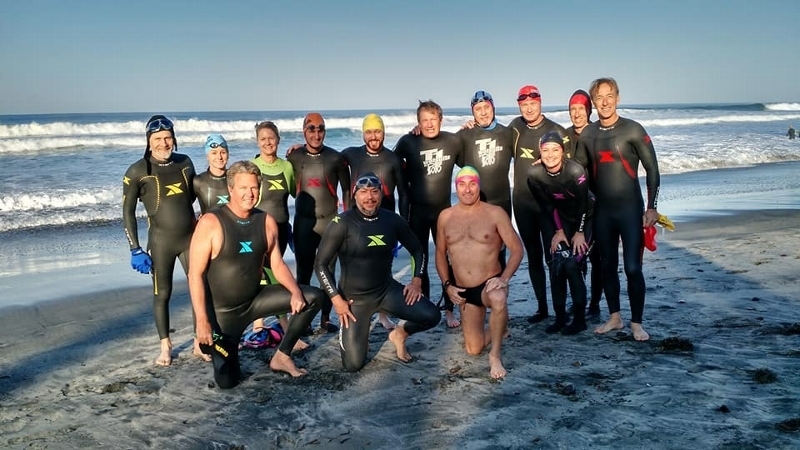 Photo of the TriClub of San Diego Sunday Del Mar California swim crew. Hilly without wetsuit.